Professor Michelle Simmons from the University of New South Wales was awarded the 2017 Laureate for Asia-Pacific for her work in quantum physics. 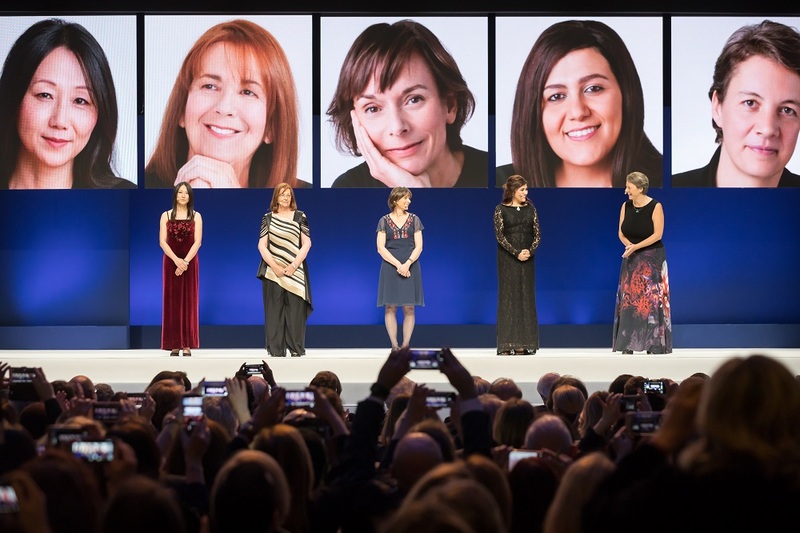 To choose the five award winners, recognised by the international scientific community, each candidate had to be nominated by their peers: presidents of universities, Academics of Sciences, Noble Prize winners, or laureates of a previous edition of the L’Oréal-UNESCO For Women in Science Award. A team of high-level scientific experts evaluated the nominations over a period of several months to choose the best candidates. Finally, an international jury composed of 12 eminent scientists selected the award winners. The awards are presented to five women, one from each world region (Africa and the Arab States, Asia-Pacific, Europe, Latin America and North America) in recognition of their scientific accomplishments. The five laureates will receive their prize, worth 100’000 €, on March 23rd, 2017 at la Maison de la Mutualité in Paris. They will join the 92 laureates that have already been honoured by the program since it began in 1998. Among these, professors Elizabeth H. Blackburn and Ada Yonath went on to win a Noble Prize and her Excellency Dr. Ameenah Gurib-Fakim became President of the Republic of Mauritius. Predicting the weather and natural catastrophes, breaking complex xryptographic codes, optimising the routes for millions of travellers… In the era of Big Data, traditional computers are reaching their limits in terms of size and power. Professor Micelles Simmons has been developing the computers of the future: quantum computers. These extremely small and powerful machines could solve certain problems in 10 seconds compared to many thousands of years for a traditional computer. This breakthrough is possible thanks to the atomic transitor. A transistor is the main component of all computers and it is the interconnection between millions of transistors on chips that allow electronics devices to work. The classical transistor was invented in 1947 and has been decreasing in size ever since, but Prof. Simmons' work shows that it is now possible to create transistors all the way down to the atomic scale. In 2010, after perfecting the fabrication process for over a decade, her research team at the Centre of Excellence for Quantum Computational and Communication Technology in Sydney succeeded in creating the world’s first atomic transistor from several atoms of phosphorus embedded in a silicon crystal. These transistors will be used to make tiny computers that exploit the principles of quantum mechanics to process information much faster than is possible with conventional computers. In 2012, together with her team, she broke another world record by creating a transistor made from just one atom. The same year, they succeeded in fabricating the thinnest conducting doped wired in silicon. These wires are 10’000 times thinner than a human hair and are key components of an atomic-sized computer. The researcher has six patents in this space to prepare for such potential applications in industry. She has also published more than 380 articles in some of the most prestigious scientific journals. She is also a natural leader, and one of the youngest scientist to have been elected to the Australian Academy of Sciences, when she was just 36 years old in 2006. An outstanding communicator, she now direct 180 researchers at the Centre of Excellence which she helped to co-found in 2000. Not afraid of challenges, she chose the field of quantum physics for its complexity and her wish to “push things to their limits”. Her greatest achievement is having convinced the world that atomic-scale electronics is possible, paving the way forward for a quantum revolution in computing.